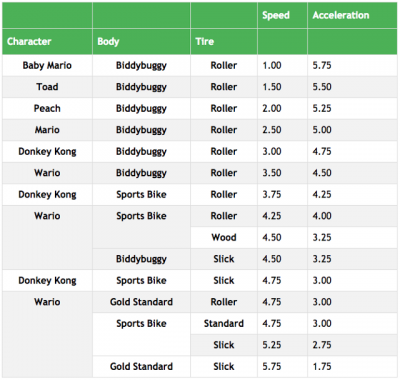 A scientist crunched the numbers and has determined which Mario Kart character is the best. It's been a question that's plagued the gamer community for decades - which game is better, Final Fantasy 7 or Final Fantasy 8? But also, which character in Mario Kart is the best? The first game was released in 1992, and since then, Nintendo has released eight more. The majority of my experience with Mario Kart was on Nintendo 64 - which is the best gaming console of all time. Unlike today's modern consoles, which are fairly comparable and generally have the same game choices, Nintendo 64 had superior graphics and game choices. And if you don't agree that Goldeneye 64 is the best video game of all time, you're wrong. That said, I recall many nights staying up with my best friend, Mike, in Middle School playing either Goldeneye or Mario Kart 64. Everybody knew that Bowser was slow. Anyone who chose Mario was just lame. And boys picking a female character to play as? Please. It was the 90s, after all. All I'm saying is that somewhere in my parents' house, there is a VHS tape recording of me getting the invincibility cheat in Goldeneye 64. Mike can confirm this if you don't believe me. If only we had Henry Hinnefeld back in the 90s to help settle the late night Dr. Thunder-fueled debates between myself and Mike. Dr. Hinnefeld is a data scientist and physics PhD at University of Illinois at Urbana-Champaign. He recently crunched the numbers, and used science to help us figure out which character is the best. Mario Kart has gotten a bit more complicated than it was back in the day, though. Now not only can you choose your character, but also the kart and tires. Some choices are objectively terrible, but there can be some debate among other setups. Dr. Hinnefeld employs the concept of Pareto efficiency to help solve this problem. Basically, it's the idea of improving the strengths while limiting your weaknesses. You won't be able to have perfect acceleration, speed, and handling - you have a limited pool of resources to draw from. 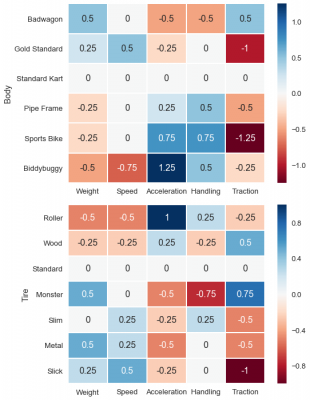 Each circle is a potential resource allocation, which in our case means a distribution of stat points across the different attributes like weight, handling, and traction (characters in Mario Kart have about the same number of total stat points, and differ only in their distribution). The position of each circle represents the outcome of that allocation on two competing dimensions, for example speed and acceleration. The allocations in red lie on the Pareto frontier: for each of these allocations, an improvement in one outcome requires a decrease in the other. 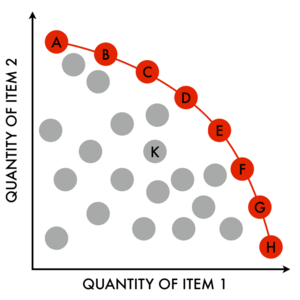 Allocations in grey are not Pareto efficient because you can improve both outcomes with a different allocation of resources. 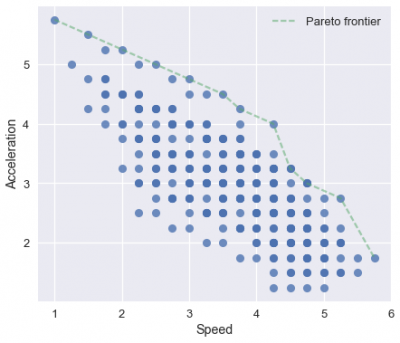 Speed and acceleration are generally the two most important attributes in Mario Kart, so the goal of this analysis is to identify the character / kart / tire configurations that lie on the Pareto frontier for speed and acceleration. 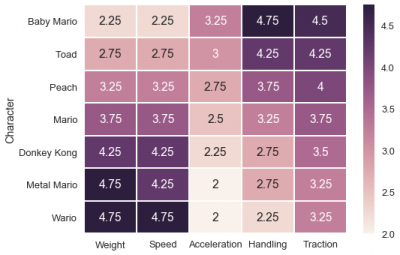 So maybe there isn't a "best" character setup, rather considerations to be made for each specific track and driving style you have. Longer straightaways and fewer turns means higher top speed is best, while more turns (or perhaps you're predisposed to hitting walls) means more acceleration is called for. Dr. Hinnefeld goes into much deeper explanation in his post on Medium, which I highly recommend reading!